Former member of Latvia’s Supreme Council, who voted in 1990 in favour of the Declaration «On the Restoration of Independence of the Republic of Latvia», urge members of the 13th Saeima to elect Judge Egils Levits of the European Court of Justice as the next President of Latvia, as confirmed by representatives of the 4 May Declaration Club. Former members of the Supreme Council stress that in the past 30 years Levits has proven himself a true Latvian patriot, erudite and scientist. «Levits played a significant role in the restoration of Latvia’s independence. 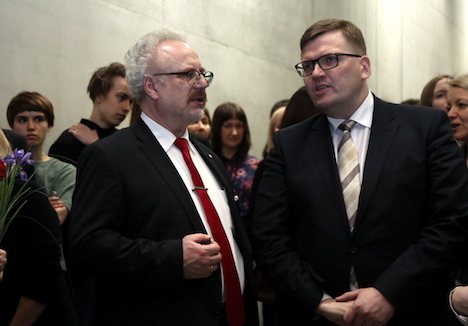 Even before the Awakening he explained in his works that after long years of occupation Latvian residents had not lost their rights for the country they had founded in 1918,» members of the 4 May Declaration Club say. They also note that during the Awakening, Levits concept was used to write the Declaration on the restoration of independence. «Levits put a lot of work into proving the need for the restoration of the 1922 Constitution and that Latvia’s citizens and their descendants retain the citizenship of the 1918 Latvia, whereas others are able to receive citizenship in accordance with the procedure in accordance with the law,» as mentioned in the organization’s announcement. Representatives of the club say that Levits has put a lot of effort over the years to enhance the rule of law and democracy in Latvia. Using his extensive knowledge in constitutional and state law, he has contributed to the enhancement of human rights in the Constitution. He also developed Constitution’s introduction project, as reminded by ex-members of the Supreme Council. «Today, on the eve of global change, your duty is helping to preserve the independence of Latvia as a national country, as well as strengthen democracy, rule of law, Latvian language and culture. Latvia needs a president able to see and resolve problems on the inside of our country and represent Latvia internationally,» as outlined in the letter addressed to Saeima deputies. As it is known, the majority of Latvia’s ruling coalition may support Egils Levits as a presidential candidate.